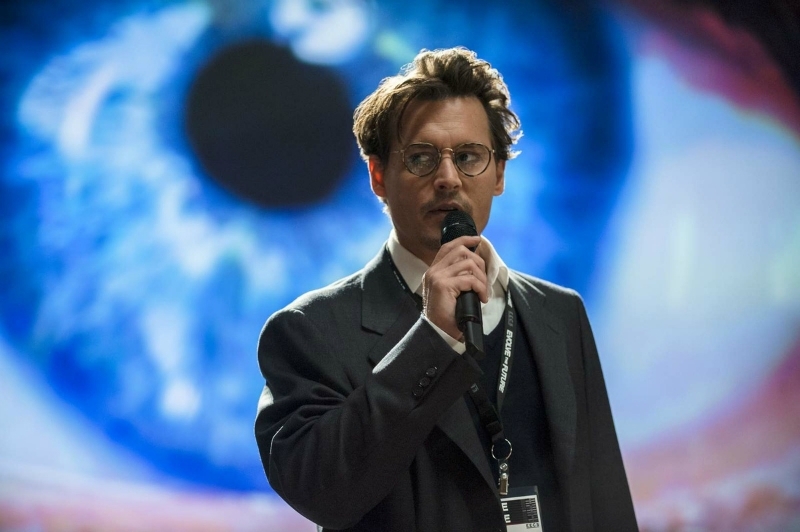 Transcendence could have been a good movie — it certainly tries — but it’s chock full of ideas that are beyond first-time screenwriter Jack Paglen’s ability to explore and develop, and cinematographer-turned-director Wally Pfister doesn’t yet have the chops to compensate for such shortcomings. In the end, it comes across as a half-baked TED talk, and a next-generation The Lawnmower Man. One of their attacks is successful, leaving Dr. Caster with one month to live. His wife Evelyn (Rebecca Hall) wants to save her husband anyway she can, which she does in a very literal sense by enlisting Will’s best friend, Max Waters (Paul Bettany), to digitize and upload her husband’s consciousness, As his knowledge and intellect grow, Will becomes less content with staying on one server, especially with Kate Mara’s techno-terrorists hunting him. Before long, he’s living in the cloud, manipulating stock markets, and using the funds to build a massive data center outside a blighted town in the middle of the desert. He has plans to restore the ecosystem and heal people via advanced nanotechnology, which starts to freak everyone out. (Granted, it doesn’t help that he starts linking with people in a hive mind of cybernetic “hybrids”.) Cue the obligatory paramilitary intervention. What hobbles Transcendence from the very start is its inability to escape hoary science fiction-horror clichés of technophobia and scientists out to elevate themselves to godhood. Paglen works overtime to convince us that The Future of Mankind is at a tipping point, but just can’t seem to explain why. Add to that a story that doesn’t adequately explain its science and its perceived pitfalls and flip-flops on who’s supposed to be the villain and who the martyrs are, and the result is a muddled, frustrating mess that is long on fear but short on suggestions. It’s base argument is the dusty old one of “It’s different, therefore it’s bad” and no much else. In all seriousness, Spike Jonze’s Her does a better job of examining the technological singularity than this clunky heap. Paglen is out of his depth with the material, and Pfister does his best to liven it up with some very pretty sequences. Unfortunately, the first-time helmer joins that stereotypical list of D.P.s who make a less-than-graceful transition from the camera to the director’s chair. There’s a surplus of lens flares and slo-mo water droplets, but not much narrative life. In the end, it is Transcendence itself that turns out to be the soulless, emotionally dead monstrosity.